How do I find a Trusts Lawyer? Trusts lawyers work with clients to create a legal relationship in which assets are placed in an account and are used for a specific reason established by the creator of the trust Trusts lawyers will help their clients avoid probate and even possibly avoid challenges to their wills. - Many trusts lawyers can take advantage of tax regulation to help you and your beneficiaries from losing assets to the government. - The process of probate and executing estates can be long and expensive, which trusts can be used to avoid in some circumstances. - Control of assets is a very important part of establishing a trust. A trusts lawyer will know how to structure your trusts so that your hard earned assets are distributed in a way you approve. If you want to start planning your estate to protect loved ones and your assets, it is important that you use the services of an experienced trusts lawyer. They can guide you through the process and give advice to put you and your family in the best possible situation under your circumstances. Bring with you all of your financial documents and any supporting information that a lawyer will need in order to get a full picture of your financial situation. It will also be important that you discuss what you want to accomplish through your estate planning. 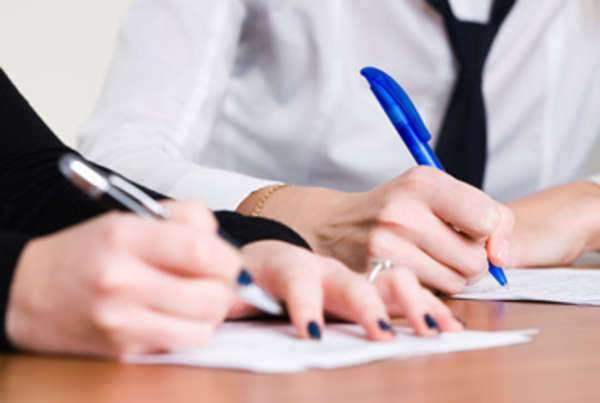 Experienced trusts lawyers will have several options for you to choose from, so also be sure to tell your lawyer all possible solutions that you are willing to consider. Trusts lawyers and their firms often offer their services through various forms of advertisements and solicitations. These advertisements can provide you with a good listing of lawyers that provide estate planning solutions, however it is important that you do some research before hiring a trusts lawyer. Look into their professional experience, areas of expertise, and check with local bar associations to ensure that there are no ethical violations or consumer complaints on the lawyers' records. Search the internet for more information about trusts lawyers. This website provides a search service that can lead you to trusted lawyers in your area with the expertise that you need to meet your estate planning needs. The formation and maintenance of trusts require a lawyer to focus on estate planning in their everyday practice. Changes in taxation rules, estate planning laws, and the creation of trusts require constant attention and education in order to fully provide service to their clients. It is highly advisable that you seek an experienced trusts lawyer that specializes in estate planning. It may be helpful to seek a lawyer that specializes in creating trusts at certain asset levels. Some lawyers have more experiences with lower assets trusts while others may specialize in helping clients with very large financial resources. When meeting your your trusts lawyer, bring copies of all important financial documents. Your lawyer will need to discuss with your entire financial situation so to best help you plan your estate in the best possible way. Make sure to inventory all property, assets, and financial holdings you may own. It is also important that you come prepared with an idea of how you want to plan your estate. You do not need to have a detailed plan in place, but rather just a basic idea of who you want your assets to go to, for what purpose, and when you want them distributed. It will be important that you disclose as much information as possible with your lawyer. Bring family members and spouses with you to the lawyer's office only if you are comfortable with discussing all of your financial information and intentions in front of them. Remember, estate planning can fracture family relationships if certain members of the family to not agree with how other family members want to distribute money, so always keep this in mind when meeting you a trusts lawyer. It is required of all lawyers in the United States to graduate from an accredited law school, meet certain ethical and character fitness requirements, and to pass their state's bar exam. Besides these basic requirements, ensure that any trusts lawyer you hire has had professional experience in estate planning and knows how to meet your expectations. Do not hesitate to look into your lawyer's professional history and ethical standing within the state. It is important that trusts lawyers have flawless ethical records. You do not want to entrust your life-long earnings to anyone with a record of improper conduct. Trusts lawyers pride themselves on organizational and accounting skills. Any lawyer who creates and oversees the trusts implementation must be able to keep all assets in a safe place and document all deposits and withdrawals. Make sure to be in contact with your lawyer on a consistent basis. You may need to inform your trusts lawyer of any change in your circumstance and likewise, your lawyer will need to keep you up to date. Do not be afraid to asks your trusts lawyer questions and try to obtain as much helpful information as you possibly can. Getting as much information from your lawyer can help you for future estate planning issues that may arise or can help you discuss estate planning with other people that you know. A trusts lawyer will usually either determine their fees by charging an hourly rate or by setting flat fees for their services. Lawyers who charge hourly rates will often be more expensive, as they may charge you for phone calls, conferences, or any time spent working on your case. Lawyers who charge a flat fee may be more desirable, as they will charge one single fee for specified legal work to be completed. However, these lawyers may not always be available to consult and may require additional fees if you need more legal work completed. Learn about the fees that will be charged and any additional expenses your lawyer expects will be incurred while working on your case. Make sure you understand all of the fees and do not be afraid to question fees you are not comfortable with. Make sure to find out when and how to contact your lawyer. It is important to know the availability of your lawyer in case you need immediate help with your legal situation. Always remember that the lawyer is working for you. Do not be afraid to make the important decisions and to tell your lawyer how you want things to be done. Your lawyer is providing you a service and you know what is best for yourself and your family.